One of the great features of Sift Ninja is that it can be also be installed into any custom platform that you are using. 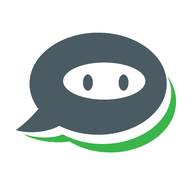 If your platform gives you the ability to send requests to Sift Ninja whenever a new comment or chat message is posted, then you will be able to use the Sift Ninja API for your moderation. Installing Sift Ninja on a custom platform is very similar to installing Sift Ninja for a supported platform like Wordpress or PubNub. First, go to the Add Channels page. This can be reached by clicking either the "add channels" button from the homepage or by clicking on the sidebar menu in the upper right-hand corner. This will take you to the Channel Creation page. This is the page where you will actually create the channel. On the right-hand side of the page, you will see a yellow box, this contains the channel's name. By default, the Custom channel will be named custom_channel, but you change it to whatever you would like. Clicking on the "Installation Instructions" dropdown will provide the Endpoint, Auth header, and request/response examples for making the call to Sift Ninja. Below the channel name is a green button that says "Install Now". Clicking this box will confirm the creation of the channel and take you to the next installation step. After creating the channel, you will move to the channel verification page. This page will walk you through a few steps to confirm that you have installed the plugin and have configured the settings properly. The first step will show the Custom Configuration Settings again and will provide a link to the installation instructions. One you have configured your settings, please click "Yes - Next Step" to proceed to the next verification step. The second step of the channel verification will prompt you to copy the test comment and post it to the Sift Ninja endpoint. Posting this comment will verify if the installation has been completed properly. The example below shows the request that was sent to Sift Ninja. Note that the only required value in the request is "text", which should be the example comment on the installation page. Once you have posted the comment, click on the "Yes - Last Step" button to proceed to the final step. If all the settings have been configured properly, the final page will show that the installation was a success and will provide a link to the dashboard. If some of the settings were not configured properly or the test comment was not posted on to the endpoint provided, then the final page will show an error message. We recommend checking your settings to make sure that the configuration is correct. How Can I Adjust the Filter? How do I create a Sift Ninja Account?